Goff D’Antonio Associates has traditionally tended towards sustainable design and building architecture. Today, we clearly feel the urgency and wisdom of actively and formally pursuing sustainable green architecture standards. We have forged a strong team to implement green projects and manage the green certification process. Our green project team will strive to achieve not only ecological but aesthetic harmony between a structure and its surrounding natural and built environment. Creating a sustainable, enduring and memorable structure. Green building brings together a vast array of practices and techniques to reduce and ultimately eliminate the impacts of buildings on the environment and human health. It often emphasizes taking advantage of renewable resources, e.g., using sunlight through passive solar, active solar, and photo voltaic techniques and using plants and trees through green roofs, rain gardens, and for reduction of rainwater run-off. Many other techniques, such as using packed gravel for parking lots instead of concrete or asphalt to enhance replenishment of ground water, are used as well. Effective green buildings are more than just a random collection of environmental friendly technologies. They require careful, systemic attention to the full life cycle impacts of the resources embodied in the building and to the resource consumption and pollution emissions over the building’s complete life cycle. provides independent, third-party verification that a building project meets the highest green building and performance measures. All certified projects receive a LEED plaque, which is the nationally recognized symbol demonstrating that a building is environmentally responsible, profitable and a healthy place to live and work. 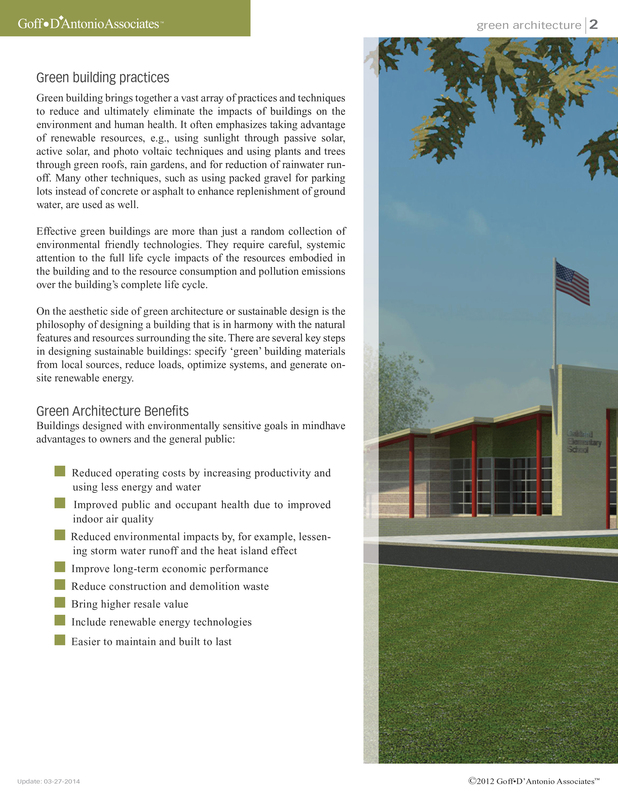 There are both environmental and financial benefits to earning LEED certification. Qualify for tax rebates, zoning allowances and other incentives in hundreds of cities. Demonstrate an owner’s commitment to environmental stewardship and social responsibility. 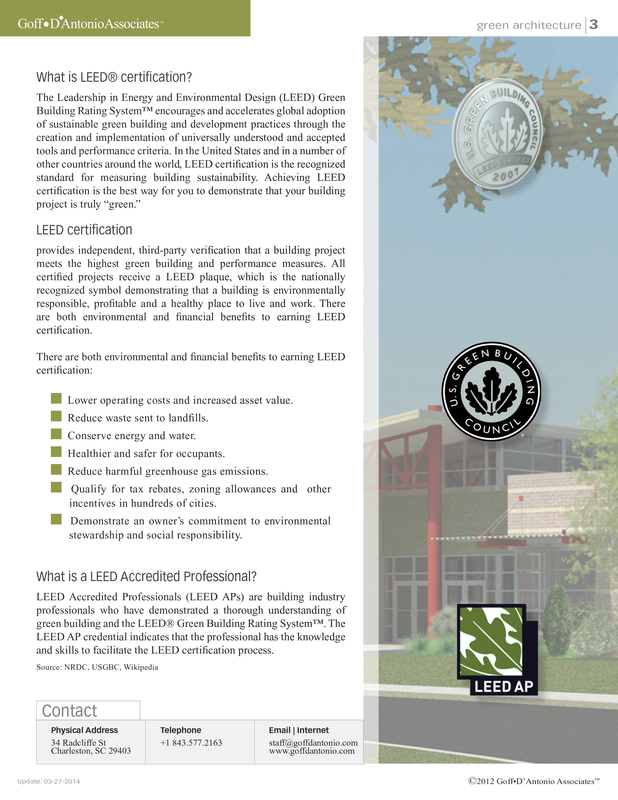 What is a LEED Accredited Professional? 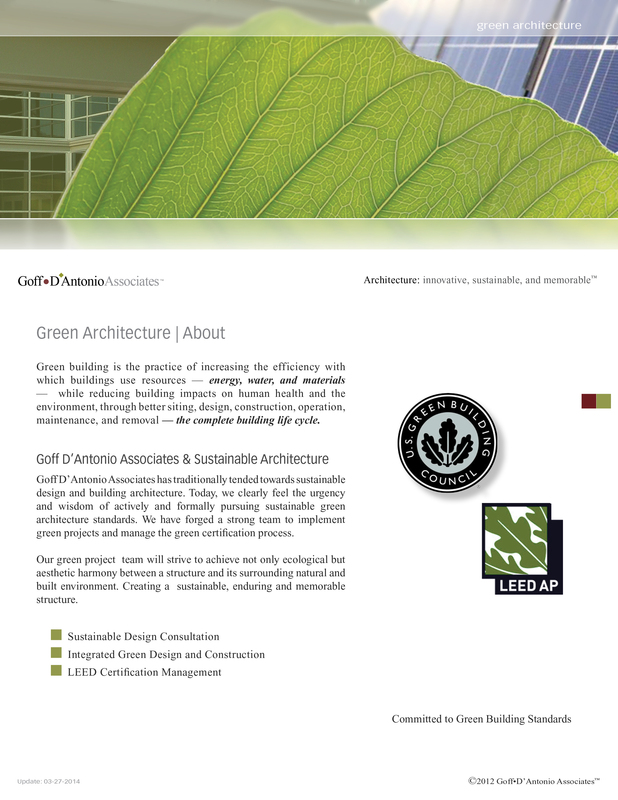 LEED Accredited Professionals (LEED APs) are building industry professionals who have demonstrated a thorough understanding of green building and the LEED® Green Building Rating System™. The LEED AP credential indicates that the professional has the knowledge and skills to facilitate the LEED certification process.